Wir gratulieren dem Gewinner de wunderschönen Bettwäsche von dem Label mundo melocotón aus Belgien. Die Bettwäsche Kollektion von Dauwke Van den Eynden ist ein ideales Geschenk für Kleinkinder, die dem Schlafsack entwachsen sind und für Mamas, die sich am fröhlichen Kinderzimmer erfreuen. Business Talk: Wie generiere ich Einkäufer für meine Kollection? - How to access buyers for my collection? Bevor Sie Einkäufer oder Händler kontaktieren, müssen Sie zunächst Ihre Hausaufgaben machen. Analysieren Sie genau wer ihre Zielgruppe ist, wer ihre Konkurrenten sind und in welchen Geschäften Ihre direkten Mitbewerber bereits verkaufen. Before you try to contact any buyer or retailer, you need to do your homework. Really understand your product , who your competitors are and what types of store your competitors sell to. Looking at your competitors’ websites is a useful way of identifying stores you could be contacting. Don’t forget the importance of the internet for searching for contact names of buyers; search for conferences, events related to fashion as they often confirm these details. Also check through trade journals and B2B magazines, which often give names of buyers in interviews or on shop portraits. It is important to secure stockists first, because the other buyers will be regularly doing their own market research and will hopefully come across your product when they are doing their competitor analysis. Think online stockists as well as bricks and mortar stores. Also think ‘outside of the box’. Are there stores that don’t carry your particular type of product line, that may be interested in diversifying a little? Stores are always looking for something new. Offer them f.e. a pop up event. Contact some of the organisations listed in our ‘Getting Advice’ factsheet. Many of them will have Meet The Buyer Events, which can be great for networking. Because of the data protection act, there are few store databases around that can be shared. So start your own. List all your wish-list stores you would like to sell to in the UK, then further internationally. Then start calling them to get buyers’ names and contact details. It’s a thankless task, but you have to persevere. Switchboards at the larger stores will not give out names, so you will need to address any correspondence to the ‘Womenswear Contemporary Buyer’ or whichever department is relevant to you. Smaller stores may be more helpful. But remember, everyone is busy. If they give you details of an Assistant Buyer, rather than the Head Buyer, try to be persistent to get the Head Buyer’s details. But don’t make a nuisance of yourself; people have long memories. You also need to know how the buying world functions. Buyers often spend a large proportion of their season’s budget before they even get to the tradefairs. So this is key to your timing. Try to see buyers about a month before the key tradefairs. If you leave it much later, your call will just be wasted. For example, there’s no point in trying to contact buyers during London and Paris Fashion Weeks. The buyers will all be busy trying to see the shows and visiting the 20-30 showrooms on their hectic schedule. It’s unlikely that you can afford to exhibit at any of the international tradefairs in your first year, but do try to attend so that you can be networking. Check on entry criteria. Not all tradefairs allow non buyers or press in. We are all busy, and bombarded daily with 100s of unwanted emails. So you may have a limited opportunity to attract the attention of a buyer once you have identified him/her. It is vital that you research the market to make sure your product is special, at whatever level, and that it is different enough from the hundreds of collections that are already out there. You will need to point out these reasons to any buyer you are lucky enough to meet. You need to find a way of make them want to see what you are doing, and what is special. You need to make them hungry to want your product and to be in at the beginning. So your first email or phone-call is important – make sure it is strong. You can try emailing – but there will need to be something catchy in the email title for them to bother opening it. You can try hand-delivering or posting something to the buyer. But make sure it is not just a letter. Make an impact. The packaging needs to make them curious enough to open the envelope/package; and when they open it, you want them to respond with ‘This is interesting. I’ll look out for them’. 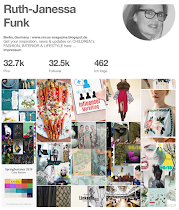 You might have included a postcard or lookbook promoting your collection, or maybe a beautiful small sample of textile – followed up a couple of weeks later with a postcard or lookbook. IS SPECIAL, AT WHATEVER LEVEL, AND THAT IT IS DIFFERENT ENOUGH FROM THE HUNDREDS OF COLLECTIONS THAT ARE ALREADY OUT THERE. Be clear about your product: what sort of volumes can you produce? ; what wholesale price are you aiming to sell for? ; and importantly – will it sell in their store once their 270% markup is added? (note that this figure varies from store to store, but it is a useful indicator). Also be ready to negotiate and think on your feet. It’s unlikely that a buyer will buy from you in the first season they meet you. They’ll probably agree to watch you over the next season and may be interested in meeting up again next season. Hopefully though, your product is very different and they’ll be desperate to have you in their store. Lack of orders can be really soul destroying. How much do you want to be in their store? How much do you need to secure your first IMPORTANT stockist? We don’t encourage designers to offer goods on a Sale- Or-Return basis but if the store is really important, you might need to think about offering SOR terms in the first season – for a limited number of pieces. You will need to have your own funding in place to make sure you can afford to take this risk, but it could make the difference between having ONE stockist that you can list and promote, than no stockist at all. MAKE AN IMPRESSION AND GET EVERYONE’S BUSINESS CARD. YOU NEVER KNOW WHO COULD BE USEFUL TO YOU IN THE FUTURE. Here>> we cover many of the key tradefairs for childrenswear & lifestyle products and further afield, but it does not cover every tradefair worldwide, as it is unlikely that you would have the resources to be travelling to many international tradefairs in your first year or two or setting up your business. It needs some good research which fair will be the one. It's is very difficult to tell. Ask for a special arrangement for the beginners, newcommers. 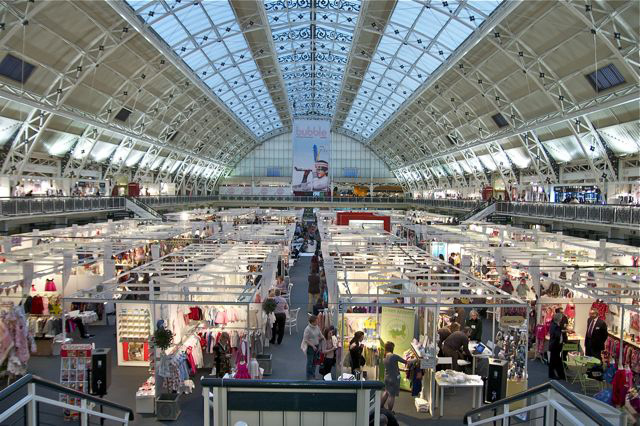 Most fairs have specil offers to start with and test the buyers' audience. ALSO BE READY TO NEGOTIATE AND THINK ON YOUR FEET. IT’S UNLIKELY THAT A BUYER WILL BUY FROM YOU IN THE FIRST SEASON THEY MEET YOU. THEY’LL PROBABLY AGREE TO WATCH YOU OVER THE NEXT SEASON AND MAY BE INTERESTED IN MEETING UP AGAIN NEXT SEASON. 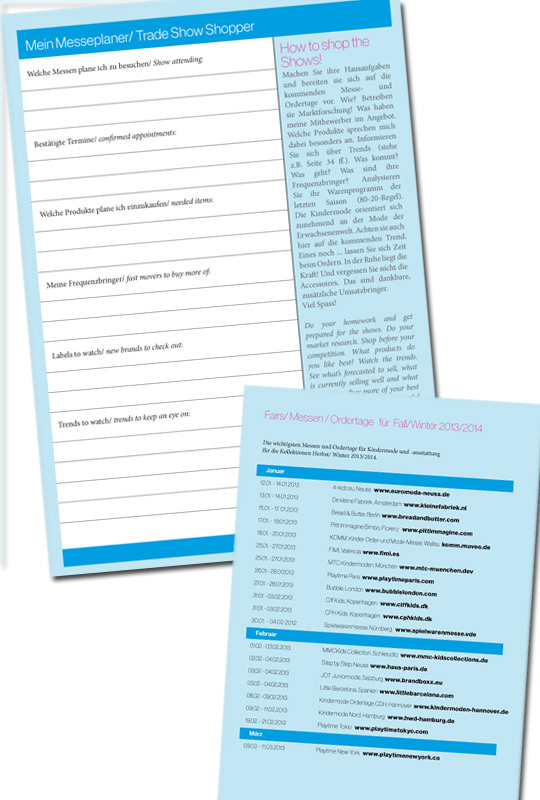 Der Messe-Marathons rund um die Kindermode und Ausstattung nähert sich bereits wieder zur nächsten Orderrunde für Herbst/ Winter 2013/2014. Hier schon mal ein Überblick. Alle wichtigen Locations unter einen Hut zu bringen wird sicherlich für einige Brands und Einkäufer nicht so einfach. Hier unser Übersicht der Termin, was, wann, wo stattfindet und ein paar Tipps zum Planen. 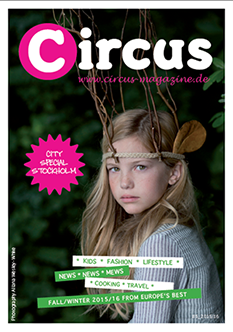 Wir werden hier bei Circus wie immer, von den Messen berichten. Werden Sie ein Liker von Circus auf Facebook und bekommen Sie die Informationen über die Messegeschehen als einer der Ersten! Oder abonnieren Sie unseren wöchentlichen Newsletter. 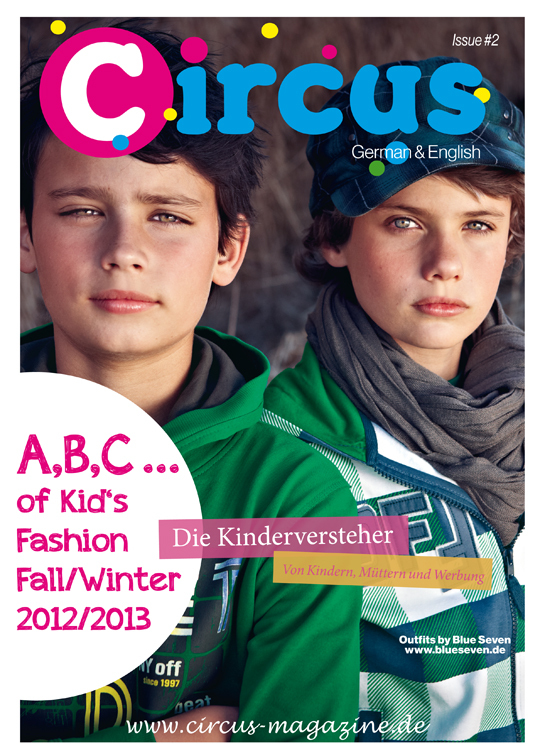 Many international children's wear fairs are going to take place in the first months of 2013. Many of the dates overlap on the weekends. For some brands and buyers, it won't be an easy task to manage them all. Take a look at our overview and find out what's happening, when and where. 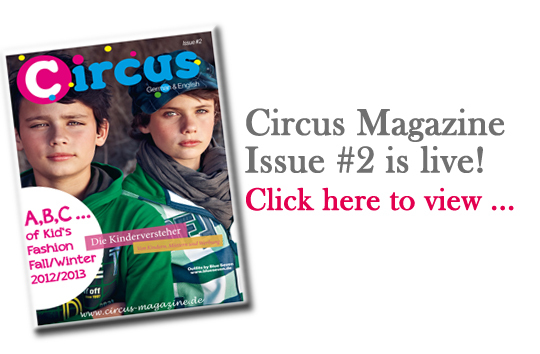 We will be reporting from the fairs in the upcoming days - become a liker of Circus on Facebook and get the latest news first! Don't forget to subscribe to our free weekly newsletter as well. Business Talk: Die Kinderversteher - von Kinder, Müttern und Werbung. Knowing Children - All about advertising and marketing in the German kid's world market! Seit 2002 zeichnet sich die Agentur lottmann pr durch einen starken Fokus u. a. auf die Bereiche Kindermode und -produkte aus. Ob Kids fashion aus Deutschland und Holland, Kinderschuhe aus Schweden oder die Kindermenüs des Systemgastronomen Mövenpick Marché. Das zehnköpfige Frauenteam, darunter auch junge Mütter, hat über die Jahre ein feines Gespür dafür entwickelt, wo die Trends im Kindermarkt liegen und sie zum Teil auch selber gesetzt. 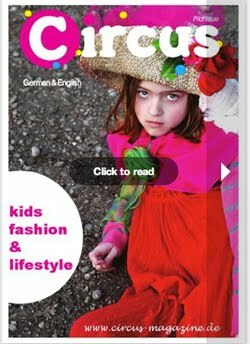 Since 2002, the German public relation agency Lottmann PR draws a strong focus onto children‘s fashion and accessoires. Whether children‘s fashion from Germany and Holland, children‘s shoes from Sweden or the children‘s menu system from the restaurateurs Mövenpick Marché. 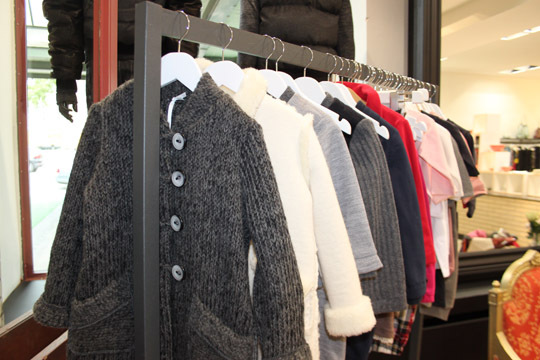 The ten-member team of women, including young mothers, has developed a keen sense over the years of where the trends are in the children‘s market and they also partly set trends themself. In den letzten Jahren hat sich der Markt in Deutschland laut Anja Lottmann stark verändert. Das Kind wird, auch wirtschaftlich gesehen, zu einem immer wichtigeren Faktor. So hat das Medienangebot der Verlage, das sich an junge Mütter bzw. Familien wendet, stark zugenommen. Auch über Blogs und diverse Social Media Kanäle kommunizieren Mütter mit Müttern, geben Tipps und Hilfestellung. Zwar ist die Zahl der Geburten im Vergleich zu anderen europäischen Ländern rückläufig, aber man gewinnt den Eindruck, das Kind ist zeitgleich so etwas wie das neue It-Produkt. 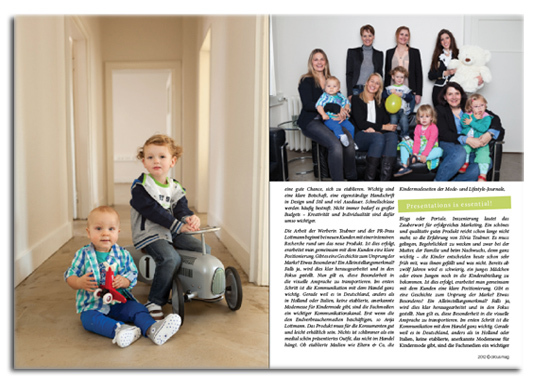 Das perfekte Outfit für Kind und Mutter, der entsprechende Kinderwagen und die Accessoires, die Bio-Nahrung und die richtigen Erziehungsratschläge, abgestimmt auf den Lifestyle der Eltern - häufig trägt das Kindermarketing wilde Blüten. In the last years the German market has changed a lot, according to Anja Lottmann. The child is also economically, an increasingly important subject. Thus, the media offers by publishers, which are aimed at young mothers and families, increased sharply. Via blogs and various social media channels mothers communicate with other mothers and give advice and assistance. Although the number of births in comparison to other European countries fell, but one gets the impression that the child is at the same time something of a “hip new product”. The perfect outfit for both mother and child, the stroller and the appropriate accessories, the organic food and the right education advice, tailored to the lifestyle of the parents - advertising for the children market have some strange effects. Eine Entwicklung, die auch Silvia Teubner, Inhaberin der Werbeagentur DRAMA-GRILL Reklame sieht. „Als Mutter eines neun Monate alten Jungen habe ich aktuell natürlich nicht nur die professionelle Brille als Werberin auf!“ Fasziniert stellt sie fest, wie junge Mütter und Väter als Konsumenten/innen umgarnt werden und man/frau sich dem nur schwer entziehen kann. Auch wenn man von Berufswegen die Mechanismen kennt. Those are unpredictable consequences, which are also projected by Silvia Teubner, owner of the advertising agency DRAMA GRILL. „Being a mother of a nine month-old boy I am not only using my professional judgment as an advertising excecutive but also as a mother!“ With fascination she notes , that young mothers and fathers are ensnared as comsumers and it is difficult for both to escape. Even if you are aware of this procedure by your own professional expertise. Gemeinsam entwickeln Teubner und Lottmann Werbe- und Kommunikationsstrategien für große aber auch kleinere Marken im Kindersegment, die sich im deutschen Markt positionieren wollen. Dabei arbeiten sie immer lösungsorientiert – ganz nach dem Motto „Geht nicht, gibt’s nicht“. Gerade angesichts der aktuellen Marktsituation haben auch neue Marken aus ihrer Sicht eine gute Chance, sich zu etablieren. Wichtig sind eine klare Botschaft, eine eigenständige Handschrift in Design und Stil und viel Ausdauer. Schnellschüsse werden häufig bestraft. Nicht immer bedarf es großer Budgets – Kreativität und Individualität sind dafür umso wichtiger. Together Teubner and Lottmann develop advertising and communications strategies for both large and small brands in the children‘s market segment who want to establish itself in the German market. Important are clear messages! Developing its own unique signature of design and style with a lot of endurance. Shooting from the “hip” is not very effective. It does not always require big budgets - creativity and individuality are much more important. Die Arbeit der Werberin Teubner und der PR-Frau Lottmann beginnt bei neuen Kunden mit einer intensiven Recherche rund um das neue Produkt. Ist dies erfolgt, erarbeitet man gemeinsam mit dem Kunden eine klare Positionierung. Gibt es eine Geschichte zum Ursprung der Marke? Etwas Besonderes? Ein Alleinstellungsmerkmal? Falls ja, wird dies klar herausgearbeitet und in den Fokus gestellt. Nun gilt es, diese Besonderheit in die visuelle Ansprache zu transportieren. Im ersten Schritt ist die Kommunikation mit dem Handel ganz wichtig. Gerade weil es in Deutschland, anders als in Holland oder Italien, keine etablierte, anerkannte Modemesse für Kindermode gibt, sind die Fachmedien ein wichtiger Kommunikationskanal. Erst wenn die Distribution steht, sollte sich das Unternehmen mit den Endverbrauchermedien beschäftigen, so Anja Lottmann. Das Produkt muss für die Konsumenten gut und leicht erhältlich sein. Nichts ist schlimmer als ein medial schön präsentiertes Outfit, das nicht im Handel hängt. For new clients the work of the advertising executive Teubner and the PR woman Lottmann begins with extensive research about the new product. Once this is done together with the client they work out a clear positioning. Is there a story about the origin of the brand? Something special? A unique selling point? If so, this will be clearly elaborated and put into focus. Now it is time to transport those feature into a visual speech. For the first step the communication with the retail is very important. Especially because in Germany, unlike in Holland, France or Italy, there is no well-established and generally accepted children‘s fashion show. 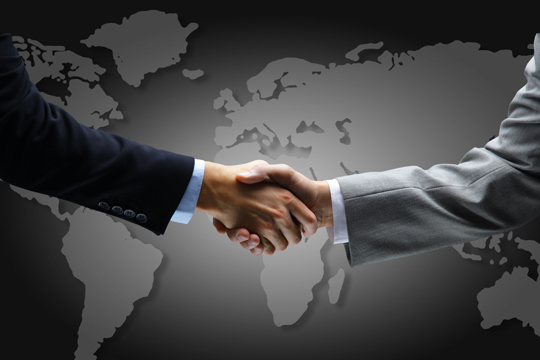 So the trade (B2B) media is an important channel of communication. Only if the distribution is well organized in the market it makes sense to start to communicate with the consumer media, so Anja Lottmann. 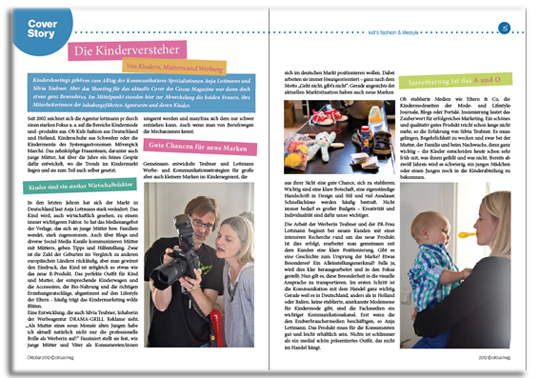 Ob etablierte Medien wie Eltern&Co, die Kindermodeseiten der Mode- und Lifestyle-Journale, Blogs oder Portale. Inszenierung lautet das Zauberwort für erfolgreiches Marketing. Ein schönes und qualitativ gutes Produkt reicht schon lange nicht mehr, so die Erfahrung von Silvia Teubner. Es muss gelingen, Begehrlichkeit zu wecken und zwar bei der Mutter, der Familie und beim Nachwuchs, denn ganz wichtig – die Kinder entscheiden heute schon sehr früh mit, was ihnen gefällt und was nicht. Bereits ab zwölf Jahren wird es schwierig, ein junges Mädchen oder einen Jungen noch in die Kinderabteilung zu bekommen. Bei aller Wirtschaftlichkeit und Professionalität, eines ist den Frauen und Müttern der Agenturen lottmann pr und DRAMA-GRILL Reklame wichtig: das Kind und seine Authentizität stehen im Mittelpunkt. Kinder sollen Kinder bleiben, da sind die prominenten Hollywood-Mamis und ihre Kids für unsere Fachfrauen kein Vorbild. The product has to be readily available. Nothing is worse than a medial beautifully presented outfit that is not available. 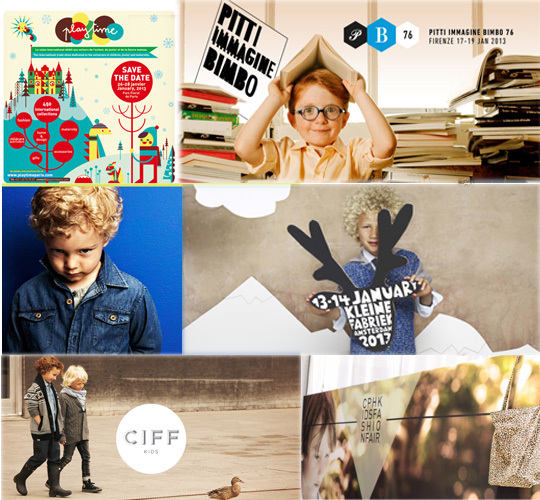 Whether established magazines such as „Eltern & Co“, the children‘s fashion pages of fashion and lifestyle magazines, blogs and other portals, staging and presentation are the magic words for successful marketing. A beautiful product and valued quality is not enough so the experience of Silvia Teubner. We must be able to awaken desire within the mother, the family and the kids - as very important – nowadays the kids decide what they like and what don‘t. 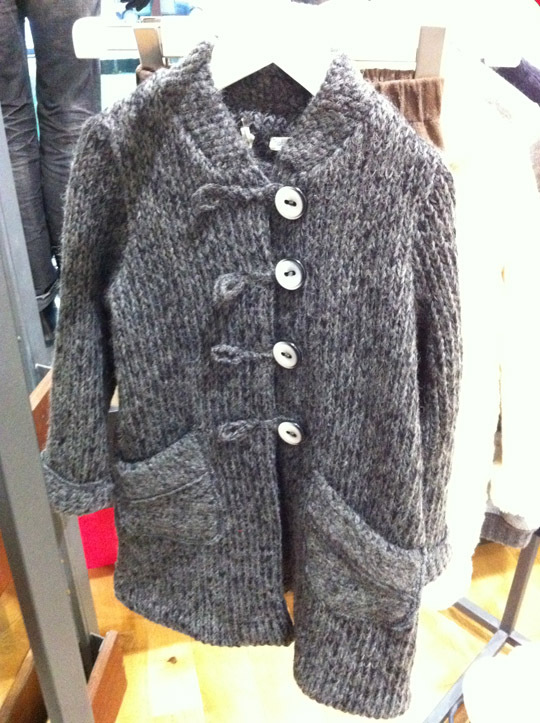 Already from the age of twelve, it is difficult to get a young girl or a boy to buy in the children‘s department. Notwithstanding their economic efficiency and professionalism one thing is particularly important for the women and mothers at the agency Lottman PR and DRAMA GRILL - the child and it‘s authenticity is the center. Children should remain being children. The celebrity moms and their kids are not role models for our women professionals. 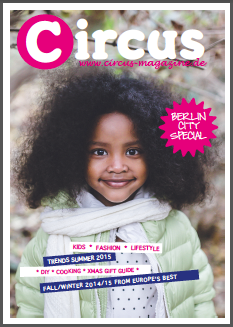 Cover sponsored by lottmann pr, outfits by blue seven. *lottmann pr ist eine inhabergeführte PR-Agentur mit Standorten in Düsseldorf, Berlin und Hamburg. Ein Schwerpunkt der Agentur liegt neben der Kindermode in den Bereichen Food, Gastronomie, Design und Dienstleistung. lottmann pr is an owner-run PR agency with offices in Dusseldorf, Berlin and Hamburg. 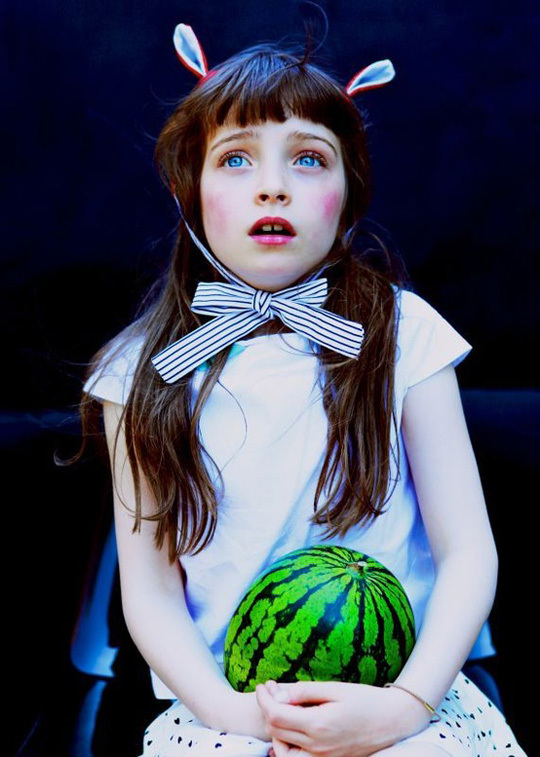 The Agency‘s work focuses on children‘s fashion as well as on food, gastronomy, design and service. *Drama-Grill Reklame wurde 2005 von Silvia Teubner und Jan Gottschalk gegründet. Mit vielen Jahren Erfahrung im Marketingbereich nimmt ein engagiertes, kompetentes und neugieriges Team jede neue Herausforderung auf. Drama-Grill Reklame the advertising agency was founded in 2005 by Silvia Teubner and Jan Gottschalk. Many years experience in marketing a motivated and professional teamt ake on every challenge. Les Zigouis - pulsierende Kreativität aus Frankreich! Für alle Münchner ... Minicosmos for kids & heroes, der große Designmarkt kommt an die Isar! Minicosmos for kids & heroes befindet sich auf der fünften Umlaufbahn und landet wieder mit seinem exklusiven Designmarkt am Freitag den 23.11.2012 in München. 20 Designlabels zeigen dort die neuesten Trends & Styles für kleine Leute. Den Besucher erwarten exklusive und besondere Liebhaberstücke für werdende Eltern und junge Familien mit Kindern von 0 bis 10 Jahren. Neben etablierte Firmen wie der finnische Outdoorspezialist Reima und Menthe et Grenadine aus London, die klassische Kinderschuhe zu bezahlbaren Preisen anbieten gibt es auch junge Designlabels aus der Region München: Cowboys & Prinzessinnen, my circus und a Star is born, die von der Erstausstattung über originelle Wohnaccessoires bis zu schöner Mode keine Wünsche offen lassen und saustark design stylt Ikea Klassiker mit kinderfreundlichen Bezügen, Möbelstickern und Möbelzusatzteilen. Die kleinen Besucher dürfen sich auf ein buntes Rahmenprogramm freuen - es wird gemalt und geschminkt. Die Agentur kidsGAUDI inspiriert die Besucher - groß wie klein - mit Idee für den nächsten Kindergeburtstag. Der Eintritt ist selbstverständlich kostenlos! All for Children - H&M und UNICEF mit neuer Kampagne! „All for Children“ nennt sich das Gemeinschaftsprojekt von H&M und UNICEF und sagt genau das aus was dahinter steckt. „Wir arbeiten zusammen, um die Rechte der Kinder in einigen der ärmsten Regionen der Welt zu schützen“. Das Projekt wurde vor 6 Jahren gegründet um aktive Maßnahmen zur Verbesserung der Bildung zu ergreifen und eine umfassende Strategie zur Förderung sozialer Sicherheit und zum Schutz der Rechte von Kindern in den Slums rund um Dhaka. Dazu wird seither jährlich eine eigenen Kollektion entworfen und verkauft. 25% von jedem gekauften Produkt gehen als Spende an das Projekt. H&M unterstützte das Projekt zusätzlich bisher mit 12.5 Mio US$ (9,8 Mio€). So konnten bisher knapp 40.000 Kindern im Alter von 3-14 Jahr durch Betreuung in Kindergärten, Schulen oder schulischen Weiterbildungseinrichtungen eine schulische Ausbildung erhalten. Das Projekt in Banglasdesh ist auf eine Laufzeit von 2012 bis 2017 ausgelegt. All for Children is a unique collaboration between H&M and UNICEF. The project started six years ago to holistically improve access to education and social protection and to raise awareness on children´s rights in slum areas in Dhaka. H&M and UNICEF work together to protect the rights of some of the poorest children in the world. By today they reach out to more than 2 million children and the adults mainly in two projects in India and Bangladesh. 25% of the sales price of their annual All For Children collection and additional donations from H&M fund these projects with around USD 12.5 million (9,8 Mio€). Special attention goes to about 40,000 children aged from 3 to 14 years who will be enrolled in play group learning, education and get support to proceed to higher education. The project in Bangladesh will run from 2012 to 2017. Farbenfrohe Bettwäsche macht sich unter dem Weihnachtsbaum besonders gut! Und die könnt Ihr hier sogar gewinnen! Gesponsert wird unser neues Gewinnspiel von dem Label mundo melocotón aus Belgien. Es sind die vorwitzigen Farbkombinationen, die mundo melocotón so bekannt gemacht haben, und sich jetzt in der Bettwäschen Kollektion wiederfinden. Aqua, die aktuelle Trendfarbe schlechthin, trifft auf Rot und Erbsengrün, was das Ganze zu einer tollen Bettwäsche für ein Jungszimmer macht, während die Mädchenzimmer durch Himbeerrot zum Strahlen gebracht werden. Die Bettwäsche Kollektion von Dauwke Van den Eynden ist ein ideales Geschenk für Kleinkinder, die dem Schlafsack entwachsen sind und für Mamas, die sich am fröhlichen Kinderzimmer erfreuen. Wie gewinne ich? Werdet schnell ein "Liker" auf Facebook und hinterlasst einen Kommentar wie Ihr die Produkte von mundo melocotón findet. Das Gewinnspiel läuft bis Donnerstag, den 22. November 2012. VIEL GLÜCK! Mehr zu den Produkten gibt's hier. 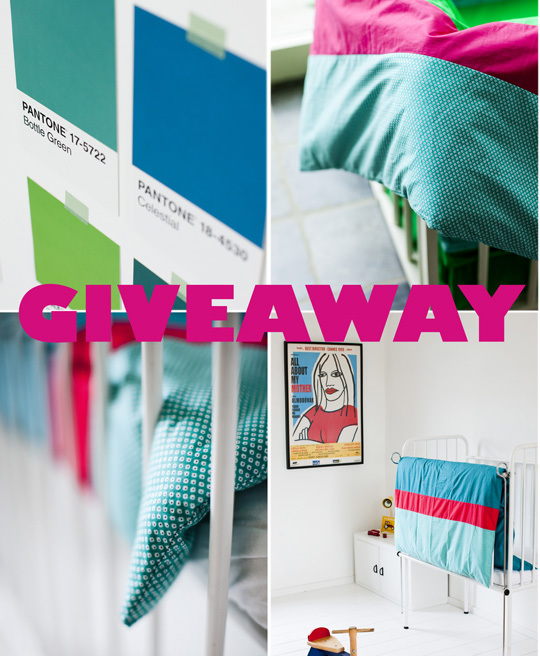 We are so happy to announce our new GIVEAWAY which is sponsored by mundo melocotón. This cute baby blanket will be such a nice gift for Xmas! mundo melocotón is Belgian, dynamic and now 3 years running! This lifestyle brand for kids from 0 to 6 is a must-have on your birth list. The cuddly soft fabrics, fresh prints and bright colors of mundo melocotón are instantly recognizable. Next to the comfortable baby and children’s clothing line, they offer a large collection of linen: sheets, duvet covers, play pen mats and bed bumpers, soft blankets for cots and cradles and velvet covers for the changing pad. How to win? Become our liker on facebook and leave a comment how you like the collection of mundo melocotón. Countdown till 22st of November. GOOD LUCK! More about mundo melocotón you find here www.mundo-melocoton.com. Tausch Dich glücklich! So heisst die Devise bei der neuen Online-Tauschbörse Mamikreisel.de. Statt auf dem Flohmarkt können wir jetzt Online unsere ausrangierte Kinderkleidung, Baby-Accessoires, Schwangerschafts-Mode, Spielzeug und Equipment wie Kinderwagen, Wippe und Autositze einstellen. Diese neue Plattform, die spezielle auf Mütter abzielt (und sicherlich auch Väter bedient) ist im Oktober mit 10.000 Produkten online gegangen. Aber Mamikreisel.de soll noch viel mehr sein, als nur eine reine Tauschplattform. Es ist eine neue Online-Heimat für Mütter jenseits von „Kind und Karriere“-Stress. In der "Community" (eine Begriff, der aus USA nun zu uns herrüberschwappt!) diskutiert man gemütlich von der Couch in den hauseigenen Foren und Facebook über Kindererziehung, Tipps und Tricks für die Kleinen, Geheimtipps aus dem eigenen Viertel und das Leben jenseits von Schnuller & Co..
Dass die Idee nach dem Prinzip des Collaborative Consumptions* auch in Deutschland funktioniert, beweist die große Schwester von Mamikreisel.de: Kleiderkreisel.de. Mit beachtlichen 368.000 registrierten Mitgliedern und 2,1 Millionen Produkten gehört die Seite zu den größten Fashion-Plattformen Deutschlands. Viele Mitglieder von Kleiderkreisel wünschte sich schon länger eine eigene Tauschplatform, speziell für Mütter. Günes Seyfarth griff die Idee auf und launchte jetzt das Portal Mamikreisel.de. Die Betriebswirtin, die mehr erreichen wollte als eine gute Marketing-Position, nahm zuvor schon die Kinderkrippen-Not in München zum Anlass, eine Kinderkrippe ehrenamtlich aufzubauen. Es folgte auch noch ein Kindergarten, was die Einrichtung zu einer der größten Elterninitiativen in München macht. Mamikreisel.de ist nun ein weiteres Erfolgsprojekt der engagierten Mutter. 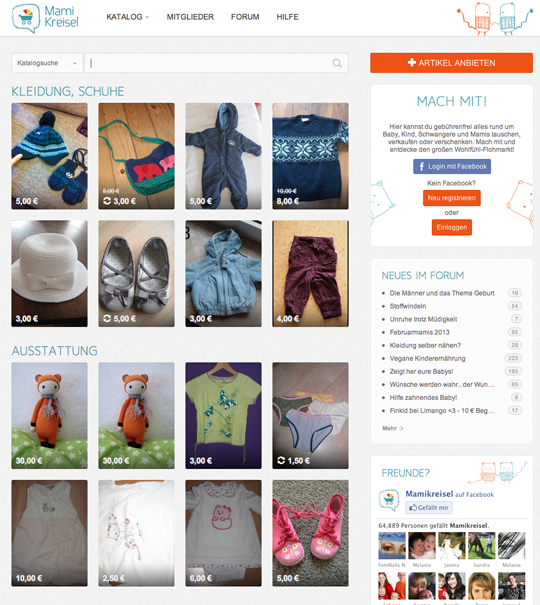 Also liebe Mütter, jede "Mami" ist herzlich willkommen in neuen Chat-Swap-Shop! Klickt Euch einfach mal rein! Wir sind gespannt auf Eure Meinungen. Weitere Informationen findet Ihr unter http://www.mamikreisel.de oder auf der Facebookseite Facebook.de/mamikreisel. 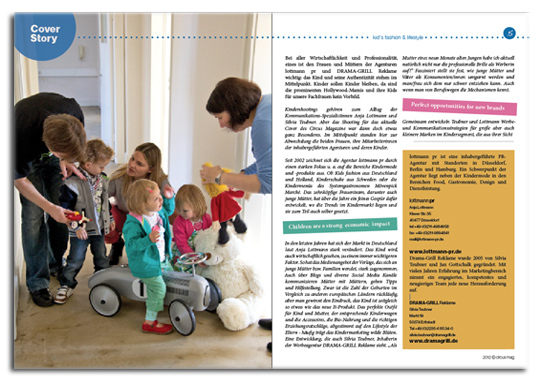 Barabara Hutt entwirft und produziert Bekleidung und Accessoires für Babys und Kleinkinder. Schon immer war Mode und kreatives Gestalten ihre große Leidenschaft. Bevor Barbara ihr eigenes Label BabyKeks gründete hat sie exklusive Strickwaren für ausgesuchte Berliner Boutiquen entworfen und hergestellt. "Seitdem meine kleine Enkeltochter mein Leben versüßt, bin ich immer auf der Suche nach besonderen und persönlichen Dingen, egal ob Mode oder Accessoires." erklärt uns die Designerin. "Meine Entwürfe fanden auch bei den Freundinnen meiner Tochter so großen Anklang, dass ich mir meinen Traum erfüllte, mich mit meinen Ideen selbständig zu machen". Alle Produkte von BabyKeks sind liebevoll gestaltet und von Hand gefertigt. 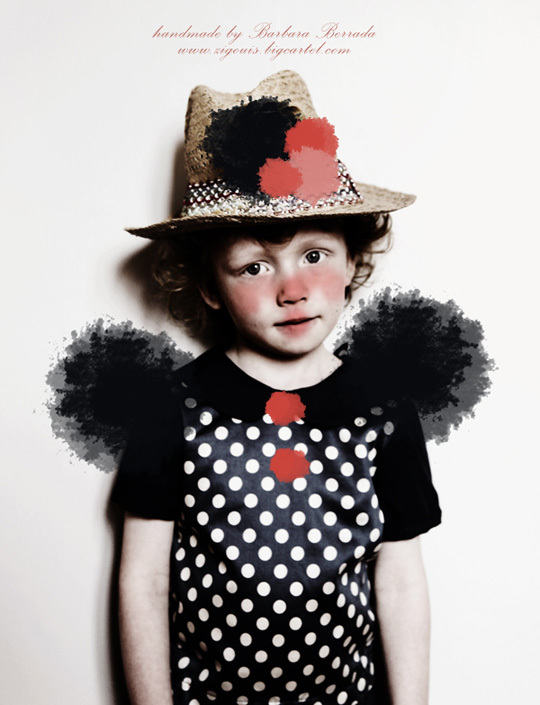 Barabara Hutt designs and produces clothing and accessories for babies and toddlers. Fashion and designing has always been her passion. 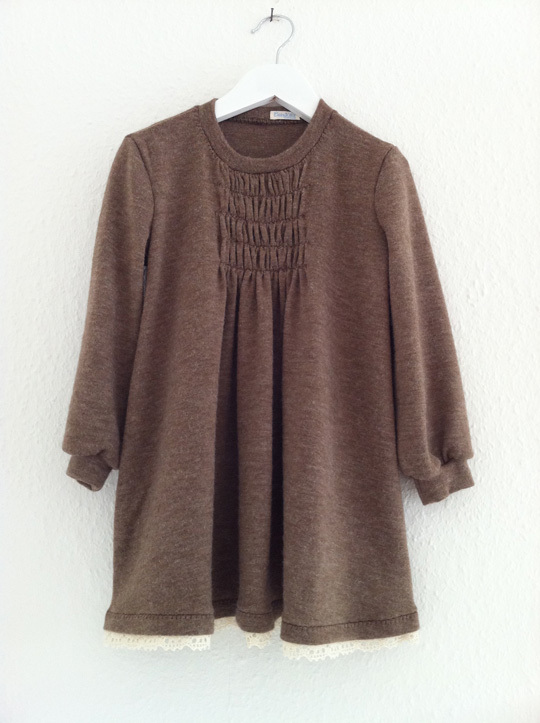 Before Barbara founded her own label BabyKeks she designed and produced exclusive knitwear for selected boutiques in Berlin. "Since my little granddaughter sweetens my life, I'm always looking for unique and personal things, whether fashion or accessories " explains the designer. "My designs also appeled the friends of my daughter so much that I fulfilled my dream and started my own business with BabyKeks." 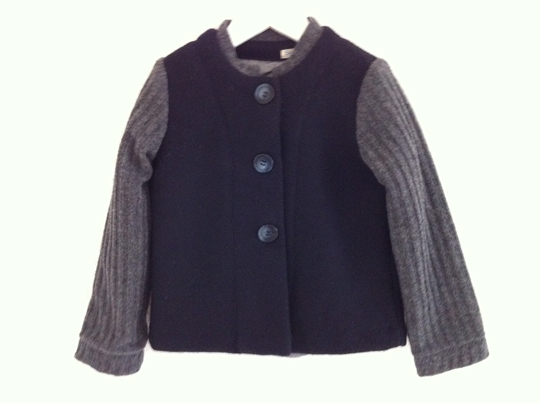 Everything from BabyKeks is carefully designed and handmade. 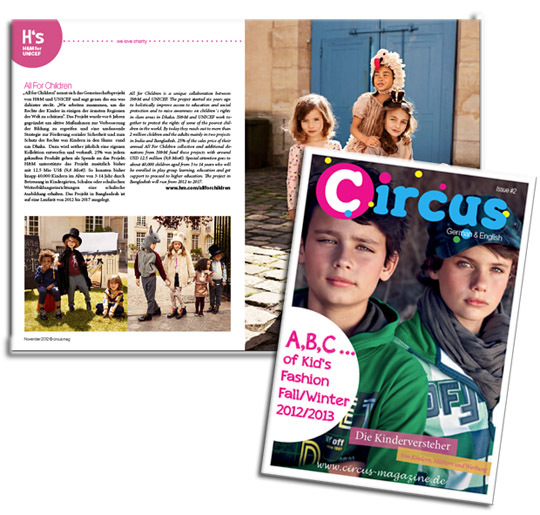 all pictures © Barbara Hutt and Circus mag. 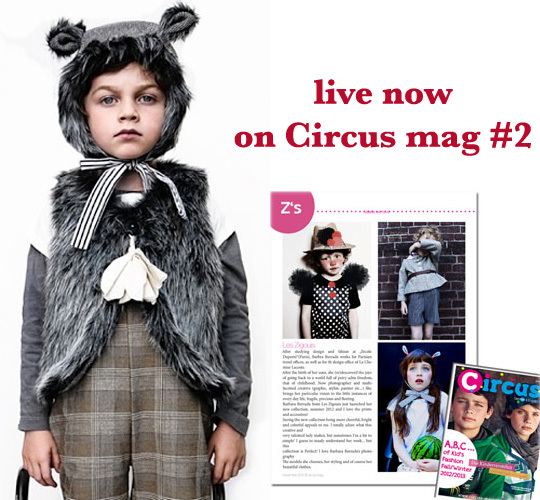 Magazine Issue '2/Fall & Winter online now! All posts copyrightRuth-Janessa Funk©Circus Mag permission must be asked for reproduction 2010–2012. Design "Einfach". Powered by Blogger.